A portrait of a country market town that includes interviews with local people. A snapshot in time showing life in this bustling community. The farmers and Dartmoor Rescue Group are featured, as is an interview with broadcaster Angela Rippon. 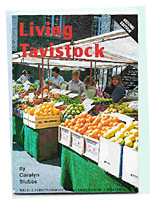 There is a copy of the book now in the Tavistock Museum and copies are available to purchase. Full length travel advertisement and itinerary for Andalucia in Spain. 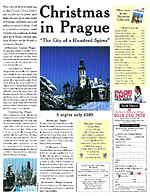 'The city of a hundred spires' – What could be more romantic that spending Christmas in Prague, one of Europe's most beautiful cities? Its graceful spires, dusted with snow and an exotic mixture of Renaissance and Rococo palaces, all add to its enchanting atmosphere…' The holiday was sold out in three days following this advertisement! 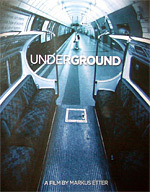 Wrote lead feature for the launch of this new glossy. Former Springfield with Dusty Springfield in the Sixties, he went on to become a highly successful record producer who discovered Cat Stevens. Living in the South Hams at that time, he talked about his life, the childrens theatre group he was running and admitted to being 'horribly romantic'. 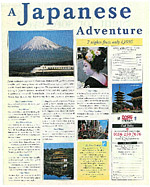 Colour advertisement for Page & Moy travel company. Wrote script for this ten minute short film that has been entered into the International Film Awards. Supernatural type story.